RSTco. 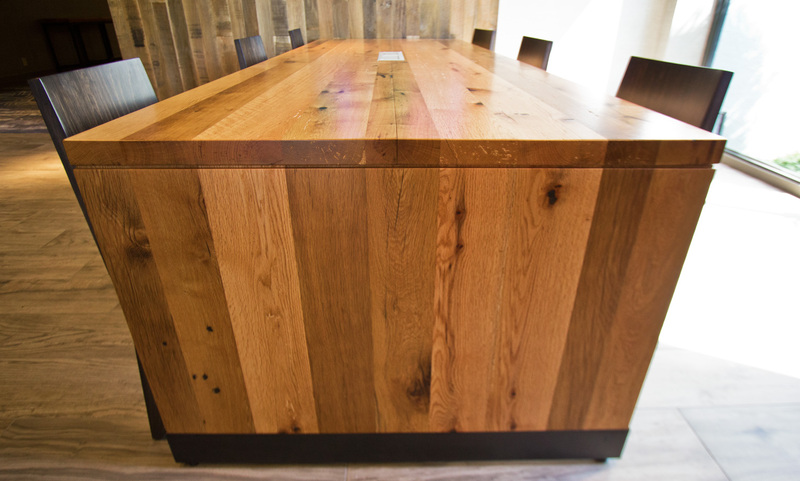 furniture Archives - reSAWN TIMBER co.
reSAWN TIMBER co. supplied our KUJAKU shou sugi ban charred cypress for the media cabinets and reception desk at this confidential project on the West Coast. KUJAKU is one of our most popular shou sugi ban designs and is available on #2 common or select grade cypress. The Bethesda Marriott recently received a complete renovation including updated rooms and public spaces. New common space feature RSTco. furniture designed in collaboration with Marriott International Global Design Americas. Experience the transformation of the Bethesda Marriott, a premier Maryland hotel where reinvented guest rooms, transformed lobby, a new M Club Lounge and new restaurant set the pace for an exceptional stay. Conveniently situated in the thriving Capital Region northwest of Washington, D.C., the list of things to do is endless as guests find themselves near hundreds of restaurants, art galleries, museums and shopping. Located only two miles from downtown Bethesda, our hotel’s fine services include complimentary shuttle service to the downtown district and other local destinations including the National Institute of Health, Montgomery Mall and the Metro’s Red Line which provides continuous service to downtown Washington, D.C. Guests also enjoy direct access to I-270 and I-495 from our sophisticated Bethesda, MD hotel. Boasting 18,500 square feet of flexible, state-of-the-art event space, our hotel is ideal for corporate meetings, professional gatherings and elegant wedding receptions. RSTco. is a team of skilled craftsmen dedicated to creating beautiful, modern solid wood furniture. All RSTco. furniture is custom built and finished in our woodshop from locally sourced and sustainably harvested wood species. we prefer and specialize in solid wood construction as well as using traditional joinery wherever possible. we offer a variety of finishes that are both durable and complimentary to the wood. other media in addition to wood are often incorporated into designs such as steel. Vid 1: charring the live edges of this beautiful black walnut bookend-matched slab table. See the finished products at the Architectural Digest Home Show in New York March 17-19th. Or check back here for finished photos – coming soon. Learn more about reSAWN’s SHOU SUGI BAN here. Learn more about RSTco. handcrafted wood furniture here. Take a virtual visit to the RSTco. shop where we currently have several custom furniture projects in production. Today we are working on 3 reclaimed oak console tables for the newly renovated Marriott in Bethesda, MD. These custom table tops are made with antique reclaimed american oak and the bases are blackened steel. Rendering of CONSOLE TABLE by RSTco. Check back here for pictures of completed tables. Visit our RSTco. Furniture page for more information on our shop and services. We love what Ukrainian designer Yaroslav Galant is doing with charred wood furniture. Galant discovered that charred wood can be employed in various interior schemes with striking aesthetic effects. His “Born 2B Burn” collection (initially spotted by Freshome on Captivatist) can be organically adapted to different design concepts from classical to eclectic and contemporary. The designer shares some secrets regarding his manufacturing technique: “Furniture frame is charred at temperature about 2000°F. The short-term influence of high temperature carbonizes surfaces with proper color and texture, while the wood core still remains undamaged. After cooling down, the furniture is impregnated with a special substance epioftonol (patented by Yaroslav Galant). On the final stage the wooden surface is varnished”. As you can see in the photos below, the resulting furniture displays an original finish, one that is certain to impress and amaze. Above: From charred wood experts reSAWN TIMBER co., the Credenza 1 has a case of shou sugi ban treated wood with pale maple doors and oxidized maple accents.